Last weekend, April 4-6, Samford University’s Cumberland School of Law announced its 2019 Distinguished Alumni Awards during the law school’s 2019 Alumni Reunion Weekend. The awards recognize three distinguished alumni and one friend of the law school with an award in the following categories: Distinguished Alumnus of the Year, Distinguished Young Alumnus of the Year, Volunteer of the Year and Friend of Cumberland. The Young Alumnus of the Year award is given to a Cumberland School of Law graduate who received his/ her J.D. within the past 15 years, and who has distinguished herself/ himself in the practice of law, service to the community, and leadership in the profession. While in law school, Ricardo A. Woods excelled on the National Trial Team and served as Chief Judge of the Trial Board. He gained skills propelling him into a successful private practitioner and community servant. Woods has a litigation defense practice as a partner at Burr & Forman in Mobile, Alabama, and spends an equal amount of time serving as chief legal counsel and city attorney for the City of Mobile. 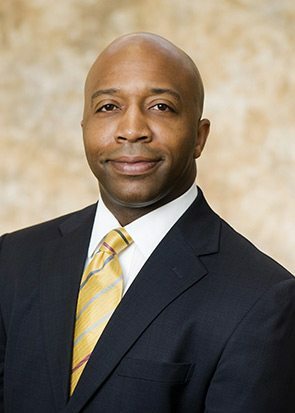 In his capacity as city attorney, Woods manages all of the City’s outside counsel, serves as chief legal adviser to the executive branch of the local government, and serves as the executive director of the City of Mobile’s internal legal department. Woods also serves on Burr & Forman’s Executive Committee. Outside the practice, Woods is an active member of Defense Research Institute (DRI) serving on the Diversity Committee, the Government Liability Committee, and Toxic Tort and Environmental Law Committee. Furthermore, serving as a leader in the non-profit community is important to Woods. He was the president of 100 Black Men of Greater Mobile Inc.; chairman of Mobile United; president of the Vernon Z. Crawford Bay Area Bar Association, the local affiliate of the National Bar Association (NBA); chairman of AL.com’s first Gulf Coast Young Professional’s Summit; and chairman of Prichard Preparatory School.